Affordable transportation service is just a phone call away. 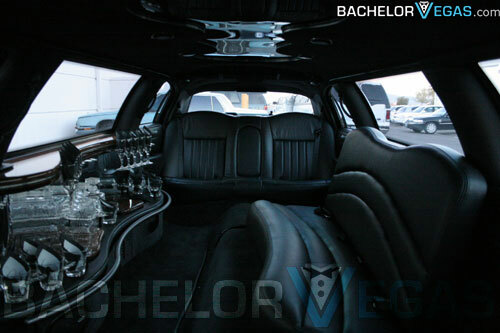 At Bachelor Vegas, we offer a stunning eight passenger super stretch sedan for hourly, daily, or airport pick-up only rates. 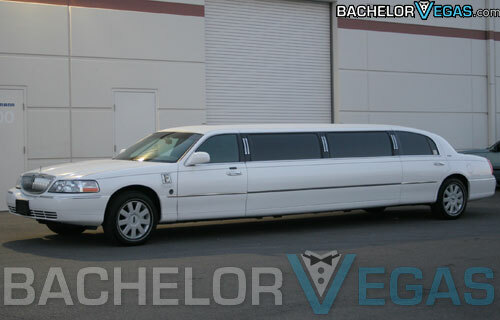 Our luxury limo services are available 24/7 which is a requirement in Las Vegas, as the fun and excitement never stops. 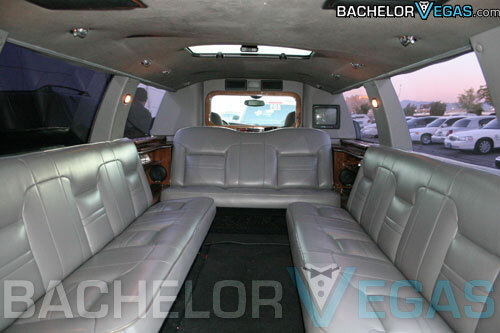 Are you thinking of acquiring a spacious vehicles for an upcoming bachelor or bachelorette party? How about a wedding, prom, or girl’s or guy’s night out? When you have an important event to attend, be sure to get the best transportation for your money. 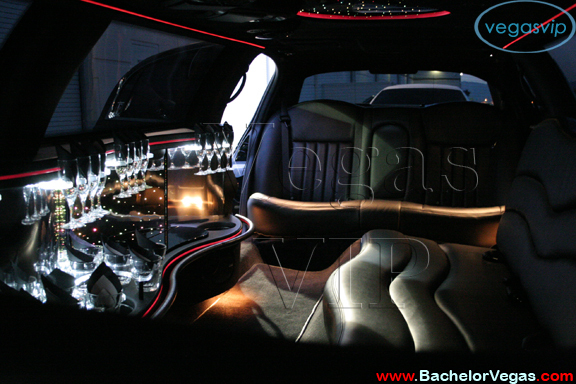 Our luxury eight passenger super stretch sedan limousine comfortably seats up to eight guests. Passengers will be pleasantly surprised to find that the interior of the car is just as stunning as the sleek exterior. The interior comes fully equipped with a state-of-the-art entertainment unit, CD player, bar, privacy dividers, and fiber optic lighting that elegantly accents the passenger compartment. The club-like feel inside the limo is the perfect place to host a celebration with a close-knit group of friends, family, or co-workers. 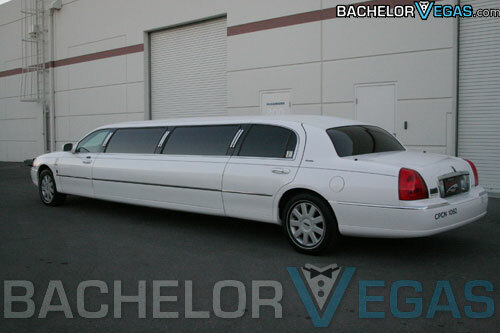 Ride through Las Vegas in complete sophistication, taking in the magnificent sights of Sin City. 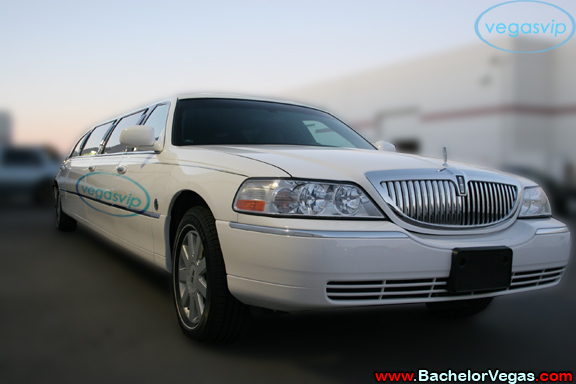 Our classic, white eight passenger limo is sure to turn heads as it picks you up from your hotel or other location. Essentially a party on wheels, the beauty is inviting to guests looking to have a good time, while having the opportunity to relax in the back of a comfortable and spacious sedan. When you choose a chauffeur-driven luxury vehicle, instead of driving your own car or renting a car, there are many extra perks. Not only can you avoid the stress and inconvenience of heavy Las Vegas traffic, you can also avoid rental contracts, parking fees, and the high stress of trying to navigate in a city in which you are unfamiliar. If safety is of concern during your trip to Las Vegas, you can rest assured that our experienced and courteous drivers will make you feel secure during your travels. 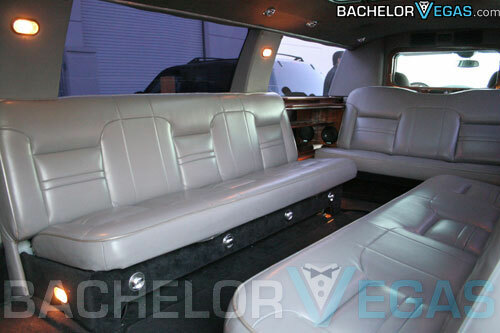 You and your group can fully enjoy yourself as you sit safely in the passenger compartment, as you’re transported throughout Las Vegas by a chauffeur who is very familiar with the area and how to get from place to place without wasting time. If you have children traveling via our eight passenger sedan for prom, be assured that our driver will get them to the prom venue and back home safely. The convenience of our sedan is one of the biggest perks of the vehicle rental. Upon your request, your personal chauffeur will promptly pick you and your guests up from your home, hotel, or airport, and transport you to your desired destination. During transport, you’ll get to experience the full VIP treatment, including access to a luxury vehicle, exceptional services and accommodations, and great attention to detail. 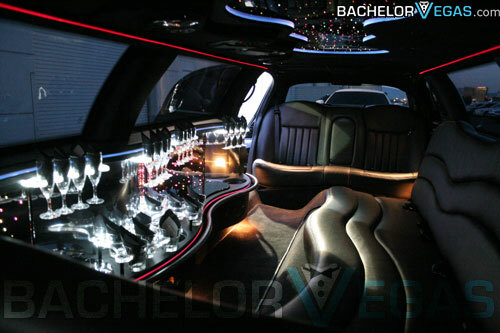 If you’re traveling to Las Vegas for business or a corporate event, a limo is a must. Invite a group of co-workers to join you for easy airport pickup. Get the most for your money with our VIP packages. 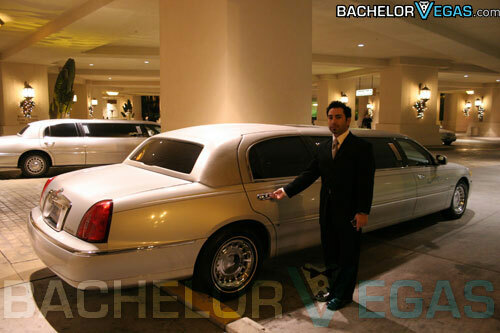 In addition to acquiring our 8 passenger for your desired amount of time, you’ll also have the opportunity to choose an hourly rate, have the driver’s tip included, and have VIP access to some of the best Las Vegas nightclubs and strip clubs. Some of our VIP packages also come with VIP entry into the clubs with no cover and no wait times. 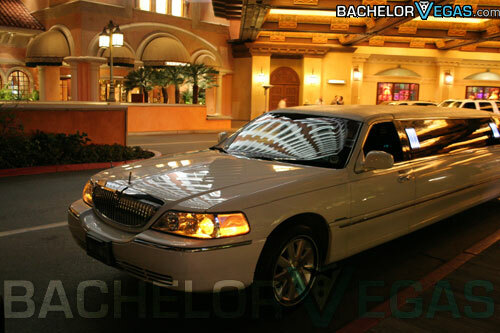 Take advantage of your next trip to Las Vegas by riding in style.